Sally Forth (verb)- to set out in a sudden, energetic or violent manner. Edition 49 of the Peachtree. And I’m using it in reference to the Peachtree Road Race, which is held annually on July 4th in Atlanta and features 60,000 runners (the world’s largest 10K). And there’s a lot of hype (aka energy) surrounding this race each year. So “sally forth” on July 4th… hence Sally (on the) Fourth. Get it? Bueller? Bueller? Fine, whatever. It’s too hot and humid out to argue. And it made me smile, so it’s good by me. My love affair with summer running continues. And almost none of these people ran the 10K. Last Monday I laced up my shoes for a race with Run Social Atlanta… The Monday Night Brewing 10K. Now “Monday Night Brewing” may sound familiar to you because back in December I was scheduled to do the Monday Night Brewing 10-Miler. But that event was snowed out. Happy Gloabal Running Day to all of my fellow pavement pounders! Yup, June 6th is that special day each year where we decorate our shoe trees and gather together to sing holiday running songs all while sipping warm Gu packets. And remember, if Meb sees his shadow during his maintenance run today that means six more weeks of blisters. Or something like that. I woke up this morning to show my support for this non-Hallmark supported holiday (I was at the card store the other day and they had bupkus). And how did I express my love of running? A few weeks ago I posted about the end of legacy status (see “Lost Legacy”) and in the article, I mentioned instances where races themselves, such as the Hollywood Half Marathon, had ended their run (pardon the pun). Well, it seems another race I know has joined the list. It was recently announced that 2017 was the final running of the REVEL Canyon City Marathon/Half Marathon. 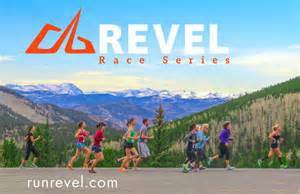 As an ambassador for the REVEL race series and a three-time runner of the half marathon at Canyon City, I am understandably sad to see the end of this course. And Canyon City holds a special place in my heart (which I’ll explain in a bit). Pick a season… any season. What the hell happened to spring this year? After 20 years of living in Los Angeles, I just faced my first Atlanta winter. And I have to admit I’m not a huge fan of cold weather running. I really don’t like running in long pants or tights, nor do I enjoy wearing layers (I get way too sweaty). Yeah, that kinda surprised me too. Since I started distance running back in 2009 I’ve completed approximately 100 races of varying distances, but never once I had I signed up for a 5K. Why you may ask? Really it was for two reasons. For starters, when I first began training for distance running, my main focus was to increase the length of my runs. As a result, I was quickly running between 8-10 miles during a training session and then even longer. 5K (3.13 miles) was really more of a warm-up distance than anything else. A “Legacy Runner” is someone who has run a race every year of its existence. For example, The Los Angeles Marathon had its inaugural race back in 1986. And 32 years later there are about 150 people that have run the race each and every year without fail. My running hat is off to them. That’d be me last week. Whenever we get busy or distracted or sleep-deprived (or a combination) we can momentarily become related to the absent-minded professor. And this condition also applies to running and races. One of the unexpected benefits of being a regular runner/racer, is I’ve amassed a second wardrobe, separate and apart from my regular clothing. Brands like Levi, Lucky and Calvin Klein must now fight for closet space with Nike, Mizuno, Brooks, Asics and New Balance. And judging by sheer numbers, I think my running clothing is winning the great Wardrobe War. And the greatest combatant in this conflict: The race tech T-shirt. Last Sunday felt a bit weird for me for two reasons. Reason 1: For the past 6 years straight (and 8 times over the last 9 years) I ran the Los Angeles Marathon with my T2 (Team to End AIDS) charity group during the 3rd weekend in March. It’s a truly wonderful race and was the linchpin in my annual race line-up. Man vs. Car: the car always wins. He was specifically applying this adage to the rule: Pedestrians have the right of way over cars. Of course, knowing you’re in the right offers little consolation if you get hit by a car… even one that’s totally in the wrong. Rabbit season. Duck season. Flu season. Last week I wrote about how I had finally overcome my continuous coughing and unplanned running hiatus and was “back at it.” Well, unbeknownst to me my best-laid plans were about to go off the rails before they even really began. I’ve read numerous articles about how quickly you start to lose your cardio conditioning when you’re not working out. It’s kind of scary how you can start to regress if you’re inactive for as little as two weeks. Now, if you’re suffering from a serious injury or certain kinds of illnesses, working out is simply out of the equation. You need to rest and recover or you can make things even worse. Did not see where they hid the cough. Last week I ran the Hot Chocolate 15K in the freezing rain… or as I called it “The Slog.” Well, it seems that in addition to my tech top and finisher’s medal, I picked up an additional bit of bling. An unwanted bit of bling. Once I got home and showered in preparation for some Super Bowl snacking, I started hacking. And I pretty much haven’t stopped. I coughed through four fun quarters of football and commercials on Super Bowl Sunday. And that hacking kept on steadily through the night and intensified into Monday (as I rested my legs). By Monday night I was a tad bit concerned. My dad has been recovering from pneumonia for the past few weeks and the news (and social media) have been overflowing with reports of this year’s uber-nasty flu bug. Been eating these things like popcorn. So I made a doctor’s appointment for last Tuesday afternoon and skipped my planned Tuesday morning run (which made me cranky). Come midday, I went to the doctor’s office and they slapped a flu mask on me as soon as I walked through the door (as a precaution). The nurse and then the doctor poked and prodded me and listened to my lungs. On the upside, I had no fever, my lungs were clear and I showed no signs of pneumonia or flu. I just had a bit of a cold and a nasty cough, due to the dry winter air…oh, and running a race in a freezing rain storm. The doc recommended that I take it easy while I was hacking and feeling heavy in the chest. So for Wednesday, Thursday, Friday, Saturday, and Sunday, I was on the sidelines, just coughing and resting. I think I’ll go out for a short run on Tuesday as I’m finally starting to feel better. On the downside, a full week off from running and exercise has done nothing to help my already less-than-peak conditioning. But better to err on the side of caution than run too soon and risk getting something that will sideline me even longer. I’ve got five weeks until my next race (Atlanta Half Maraton on March 18th) so I should still be able to get myself in a semblance of shape by then. And on the upside, I have had a chance to read a book or two, clean up my e-mail inbox and binge watch a couple of Netflix series that I’m behind on. So it’s not a total loss. Now if you’ll excuse me, I’ve got to go see what hijinks Eleven and those boys from Hawkins are up to. Hack up, avoid the Demogorgon… and Run on! Have you been sidelined at all with an illness this Winter? And what’s your favorite current “binge” show? Slog: A long laborious walk or march. I’ve run races in the cold before. I’ve run races in the rain before. But before this weekend, I had never run a race in the cold cold cold rain. Unlike a Reese’s Peanut Butter Cup, rain and cold are not two great tastes that go great together. On Sunday, I ran the Atlanta Hot Chocolate 15K (that’s 9.32 miles to you and me) in a downpour while the weather at the start was rather nippy. Needless to say, it was an experience I’ll remember. Or as I like to refer to it… a slog.